Countless Ted talks, studies, and of course Sheryl Sandberg tell us we’ll be happier and more productive when we 'bring our whole selves to work'. The zeitgeist around business relationships says to engage our authenticity to tackle challenges, initiate difficult conversations, and conquer the imposter syndrome. But for many technologists, it’s not so simple. If you’re a mom, or an immigrant, or taking care of an aging parent, juggling your many identities at work can be a challenge. And if you’re all three, the situation is exponentially difficult. Free snacks and a lax dress code do not spell freedom for minoritized technologists like me, who instead spend our days walking many small tightropes, while also trying to do our actual jobs. How can we create a culture where 'bringing your whole self to work' is an option for a broader range of people? Here’s the rub with bringing your whole self to work: our 'selves' have to exist within our company’s cultural norms, which were typically set by our founders. 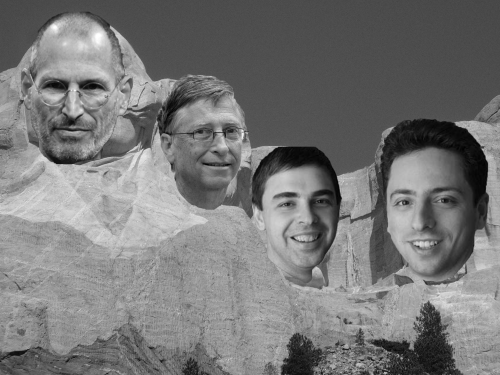 So if you’re anyone not resembling tech’s 'founding fathers' (aka the majority of this planet), your perspective was likely not considered when your company’s cultural rules were born. I can testify to this. I’m a tech consultant in my mid-thirties; a white queer woman with a male partner and no children. For me, seemingly innocuous safe-for-work conversations like 'what did you do for the weekend?' tend to open up a whole can of worms. It’s not so much the opener, it’s that talking about my weekend inevitably leads to other matters like “are you thinking of having kids?”. (Spoiler alert: It is never not weird to simply answer “no.”). Or later, at a post-release happy hour, “why do you choose to say ‘partner’ when you’re with a man?”. Managing these conversations is exhausting. I’m not in the closet, and I want to stand up for what I believe in. But it’s hard to walk the line of 'being yourself' when your reality might conflict with the prevailing culture of your company or client. Still, I don’t want to get into educating or debating, particularly when I’m just trying to get my morning coffee. LaFawn Davis, Global Head of Culture & Inclusion at Twilio, sees it like this: “We are all intersectional, meaning we all have layers with which we identify”. Davis, who held the same position at PayPal, has made a career helping technologists outside the majority. “There can also be negative and long-term impact on intersectional technologists from expending the energy to determine whether or not all their layers (race, gender identity, sexuality etc) will be welcomed or excluded”. I agree with this assessment. Admittedly, I’m a genetically neurotic native New Yorker who has never had the strongest nervous system. But, lacking evidence that discussing my family life will not threaten my business relationships, I’m confident that everyday work interactions have had a slowly erosive impact on my adrenals. At the same time, I’m fast-tracking through archives of possibly related information I’ve observed about my audience. “Hmm. Jerry seems okay ...his kids are adopted, so he must understand what it’s like to be an outsider ...and he said that his wife just finished binge-watching Orange is the new Black! So that’s good." This style of attunement may seem severe, but it’s a common coping strategy for folks on the margins. The urge to be our whole, authentic selves at work persists, but when divulging only certain things are encouraged (say, sharing that you’ve experienced a death in the family), while others are labeled as 'your own business' (like a miscarriage or a deportation scare), the disparity is clear. We’re asked—either implicitly or explicitly—to contain the things that are the most important to us; things that we want to share, because we want to relate to, and be known to, our peers. Research on authenticity speaks to the damage caused by 'covering', the act of an individual downplaying their differences from the mainstream. A Harvard Business Review study of 3000 employees in over 20 large US firms showed that 61% of people had faced 'overt or implicit pressure to cover' in some way. 50% indicated that perceived pressure to cover diminished their sense of commitment to their organization. Davis calls this repeated adjustment to more mainstream colleagues’ perceptions “draining”, adding that it “takes focus off performing at the highest level”. Covering is not only a waste of cognitive overhead: it’s a leading cause of attrition as a largely invisible death by 1,000 cuts. All too often, tech companies don’t recognize the negative impact of covering until it’s too late. Look no further than Intel's leaky bucket to recognize that retaining marginalized technologists is far more complex than hiring them. As leaders on the journey to inclusivity, we have to address this problem. We’re charting unknown territory, which means stepping into discomfort. But within the discomfort is an opportunity to do better. Challenging ourselves to tackle these real-life situations is critical to creating a 'post-diversity' culture that not only hires, but also sustains a wider range of technologists. So how do tech companies create more hospitable environments for people like me? I spoke to Julian Green, Director of Diversity & Inclusion Guidance at the AnitaB.org Institute, about her experience advising tech organizations. Green says “lead with empathy”, citing examples like Facebook promoting a “progressive attitude on using pronouns that help employees feel safe and validated as being LGBTQ”. AnitaB.org also partnered with Quiet Revolution (a mission-based company co-founded by Susan Cain) on a 'Quiet Tech Network' to work with companies like Twilio, Capital One, Thomson Reuters & GoDaddy on efforts to “create a culture for introverts to feel supported and also thrive”. Tarsha McCormick, ThoughtWorks’ head of Diversity and Inclusion for North America, recommends leaders set an example by taking a “proactive approach” to tough conversations, adding that ThoughtWorks’ leaders “address major world events that may affect employees personally by having public discussions and encouraging everyone to contribute”. Instituting inclusive values at the highest level is important, but not always enough. For many technologists, there’s been a harsh disconnect between their reality and the progressive values pledged by their employers; as seen in the microaggressions documented by former Googler Erica Joy Baker. “Senior leaders, team leaders, and human resources have to ensure the environment is a safe zone”, says Green. An employee’s daily experience is most affected by their front line manager. Team managers need to establish inclusive norms and implement safety on their teams for an organization’s good intentions to fulfill their reach. “People managers set the culture on their team”, Davis says. “Equipping managers with the education and tools they need to be authentic leaders ...and create a more inclusive environment every day has a positive rippling effect”. Many tech companies leverage workplace education that looks at behavior correction and prevention, like HR or sensitivity trainings. Facebook has devised their own unconscious bias training while companies like Slack, Pinterest and Asana contract consulting firm Paradigm for related services. At their most effective, these trainings can create a shared vocabulary and foster acknowledgment of prejudice, but the jury is still out on whether it’s actually possible to change implicit behaviors through trainings themselves. Some organizations are shifting focus towards providing the resources people need to feel confident speaking out against bias, e.g. MIT’s recent roll-out of an active bystander program. At ThoughtWorks, we’ve rolled out ‘Crucial Conversations’ trainings, designed to equip all employees with the tools to have challenging conversations from a thoughtful, strategic perspective. There’s also a shift towards prioritizing empowerment; amplifying the voices of technologists who are marginalized. “Listening tours ...can help employees feel heard and seen”, says Green, who recommends conducting these and culture audits to collect insights and context from minoritized groups. Green cites Atlassian and AirBnB as “doing a wonderful job of this with their employees”. Resource building is another powerful option. ThoughtWorks runs WiLD (Women in Leadership Development) that focuses on empowering women and addressing the unique issues faced by females in leadership. Additional examples of resource building at ThoughtWorks include the Diversity and Inclusion Council and various Employee Resource Groups. While it’s far from simple, tackling these matters head-on is paramount if we want minority technologists to become the “authentic leaders” Davis talks about. For leaders like us, authenticity can be a double or triple bind. We’re working through struggles with 'bringing our whole selves' while striving to make our companies better places to work for those who come next. We’re trying to find truth and meaning in the messy reality, which inevitably means expanding conventional definitions of what leadership is. “Leadership is all about relationships and to be in a relationship (with anyone) is to be vulnerable. Every single day, leaders are called to navigate uncertainty, risk, and emotional exposure – the only choice is to do it consciously or unconsciously; to lean into the vulnerability or to push it away”. Brene Brown, PhD. LMSW and storyteller/researcher at UT Houston, has spent 15 years studying vulnerability and shame. Brown says our capacity to lead is based on our ability to own our stories, including those that may feel precarious -- professionally, personally or emotionally. For me, this means opening up about my own struggles, both as a leader and on a personal level. Sometimes, it means telling Jerry and Tim a little more about who I am. Not because I owe them something, but because this time my interest in pushing tech culture forward outweighs my fear of getting hurt, embarrassed, or potentially managing their feelings. When we choose to disclose things that make us vulnerable, we’re modeling a new type of authenticity to our employees, one that finds dignity in courage, in spite of struggle. We walk that line to help our teammates, our employees, and each other recognize when it’s time to stay safe and when we’re resourced enough to take a leap. Helping tech become a truly inclusive, welcoming place to be for marginalized technologists is a daunting task--especially when so many find the banal advice to 'be authentic' not so simple at all. But we can’t let that weaken our resolve. We have to stay open, honest and humble in this conversation. There isn’t an 'answer'; this issue isn’t binary, there are too many of us to have just one approach. But if as leaders we’re brave enough to lead with vulnerability, publicly acknowledge our challenges, and take calculated risks, we’re surely heading in the right direction.